What if I told that there was one thing you can do every day to improve not only your marriage but also your health? Get your mind out of the gutter, I am not going to talk about that thing (although you should make it a priority too! ), I’m talking about taking it elementary. Think back to when you were a child and you got hurt. What was your childlike reaction? To reach out for your mother or father’s hand. If you have given birth you probably had your baby-daddy next to you squeezing your hand. It is not just a natural inclination, the pressure of a person’s palm within your own can actually decrease minor physical or mental pain. 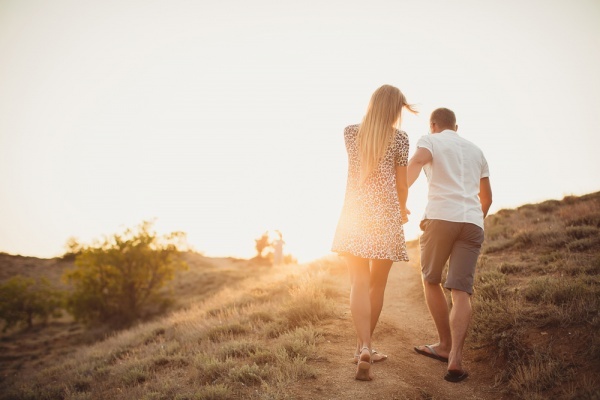 Holding hands with your significant other can actually lower your hormone and stress levels, and that is an effect that your marriage could definitely benefit from. By intertwining those sweaty palms, you are decreasing the levels of cortisol in your body, which is the stress hormone. So next time you are feeling overwhelmed, reach out for a hand and take a deep breath. This is another benefit that we learned as a young child. We knew that holding hands while crossing the street made us safer or could protect us from the boogeyman. Today, we still believe this to be true apparently as studies have shown that holding hands helps our brains cope easier. Feeling down or sad? Grab his hand. Our bodies natural reaction to fighting off nerves is to grab someone’s hand. It is the way we are wired to react to an adrenaline rush. Knowing that you can trust your spouse to be there for you in a scary situation is a major bonding factor and one that is easily cemented when you reach your shaky hand out to find theirs. Perhaps the most obvious benefit of holding hands is that it creates a bond and connection between you and your spouse. Many couples subconsciously reach out to one another in a crowd to feel grounded and to create an instant sense of belonging. This feeling comes from the oxytocin that’s produced when we hold hands, which is a hormone responsible for strengthening empathy and communication in a relationship – all just from locking fingers. Maybe you have gotten away from holding hands. Life gets busy and it is hard to find the time to slow down long enough to connect. Try holding hands anyway. Maybe you are just holding on as you rush from one thing to another, maybe you reach out while you are watching TV tonight or over dinner. It does not take planning, just a little intention and you will quickly see the benefits of the simple act of holding hands.